Not everyone has the energy for early morning workouts. The snooze button is tempting, your sheets feel warm, and the thought of jumping into a sweat session seems far less enjoyable than jumping back into a sweet slumber. Tonal understands this, so we created a two-part workout series designed to energize your body first thing in the morning. Wake Up with Paul will awaken your muscles gently and provide you with the motivation you need to get moving. These workouts won’t push you too hard; they’ll cater to your body rather than beating it up. You’ll feel refreshed and ready to take on the day ahead. Your workouts don’t always have to leave you tired and sore. Sometimes, your body needs a gentler workout that is still effective, but won’t put as much strain on your muscles. This is especially important in the morning, when your body may still be tight and tired. Your body might also need some extra TLC if you’re new to working out, under stress, or if your body is fatigued from your other Tonal workouts that week. Both of these workouts incorporate strength training along with cardio and mobility work. 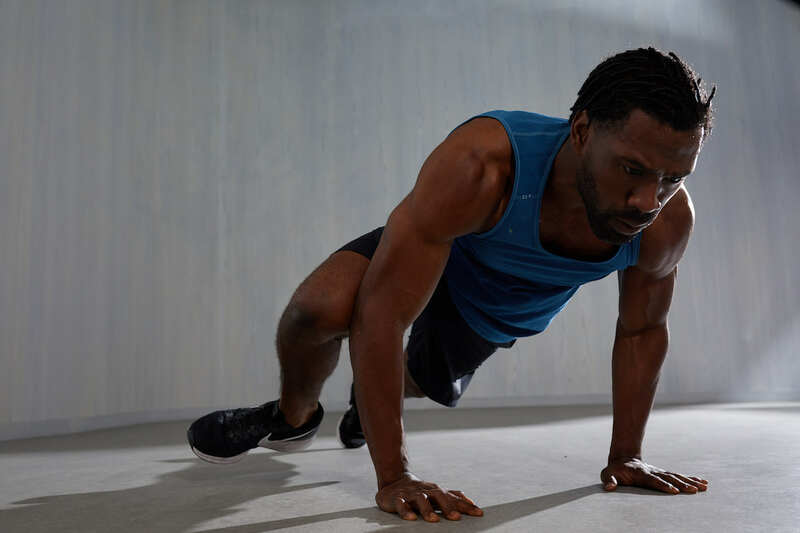 This combination provides you with well-rounded workouts that will increase your heart rate, help promote muscle growth, and increase blood flow and flexibility. Coach Paul is an amazing motivator. He knows exactly how to pump his clients up and make them feel like they can conquer the workouts ahead. Moreover, he strikes a great balance between pushing you and understanding that sometimes it’s important to slow down. He stresses that dedicating any time to fitness is a positive step towards bettering yourself and your body. He created these workouts for people who don’t want to work out but know that they should. For people who wake up in the morning, throw on their gear, and dread the thought of doing even one squat. Coach Paul knows how to drive you to put in the necessary work without expending all of your energy. Wake Up with Paul consists of an upper body and lower body workout that are each 20 minutes long. You can perform both workouts sequentially for a 40-minute full body workout, or split them up on different days. Both workouts are suitable for beginners. Seated Row, a back and bicep exercise. Mountain Climber, a HIIT (High-Intensity Interval Training) movement that provides a quick burst of cardio. 90-90 Arm Sweep, active recovery that increases mobility in the upper body. Goblet Squat, which allows the core to wake up and lower body to activate. Resisted Glute Bridge, a bodyweight leg and glute exercise. Runners Lunge, active recovery that increases mobility in the hips and legs. This workout is available now on Tonal, and it’s a fantastic option if you’re looking to boost your energy. Give Wake Up with Paul a try on your Tonal, or book a workout at a showroom near you.